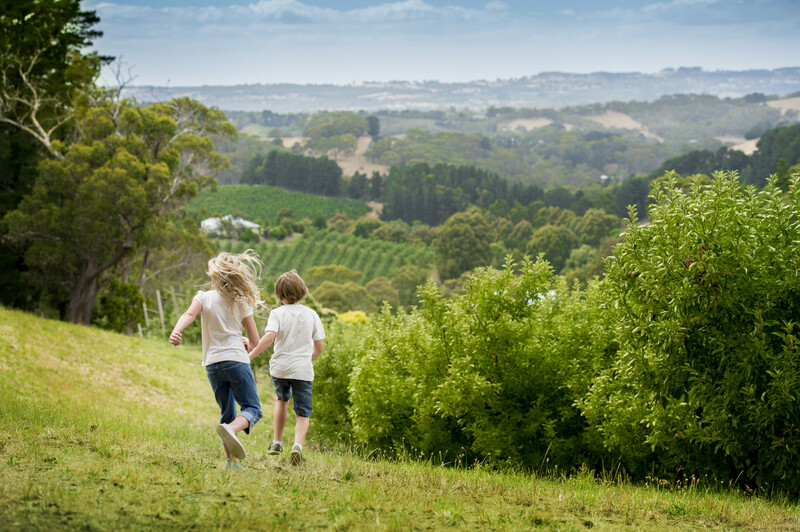 With steam trains and a giant rocking horse, cuddly koalas, a chocolate factory and oodles of space to run free, the Adelaide Hills will engage and entertain children of all ages. 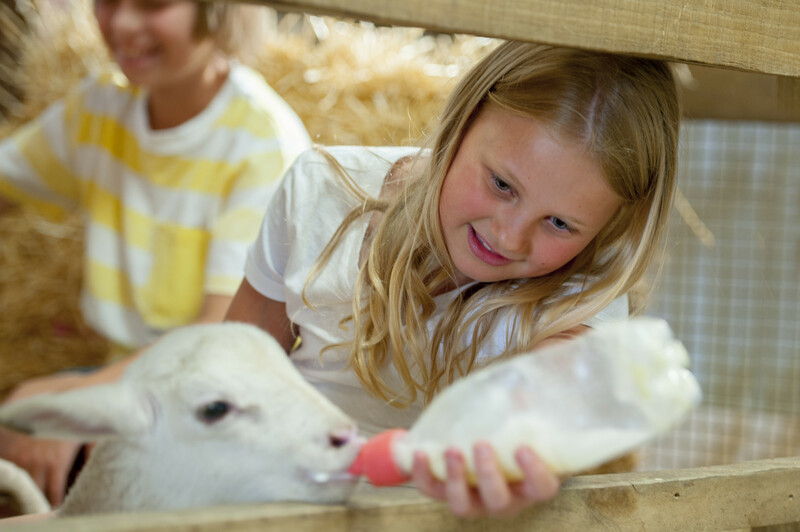 At Hahndorf Farm Barn kids learn about life on the farm and have hands-on fun with a range of farm and exotic animals. Four Oaks Farm in Littlehampton is a big hit with kids, especially their pony party programs. Country shows and fairs are an ideal way to introduce kids to our living rural heritage and make for a fun day out - so time your visit to enjoy Adelaide Hills shows in Uraidla/Summertown, Mount Pleasant, Mount Barker and Callington, or a fair such as the Meadows Country Fair. 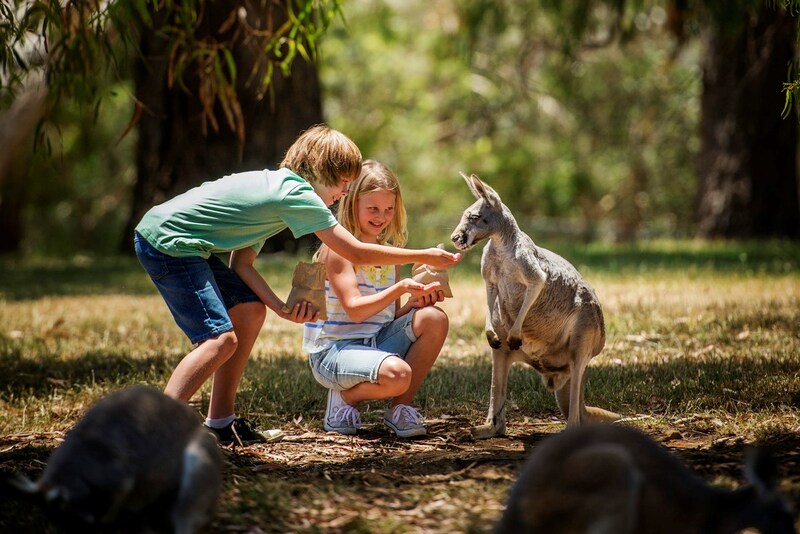 At Cleland Wildlife Park at Crafers kids can get up close with koalas and meet a number of native species such as kangaroos, wallabies, wombats, dingoes and Tasmanian devils. Reptile experiences and guided night walks are available. Gorge Wildlife Park at Cudlee Creek is also home to many native Australian animals and offers koala holding along with the chance to see and interact with many exotic animals, birds and reptiles. 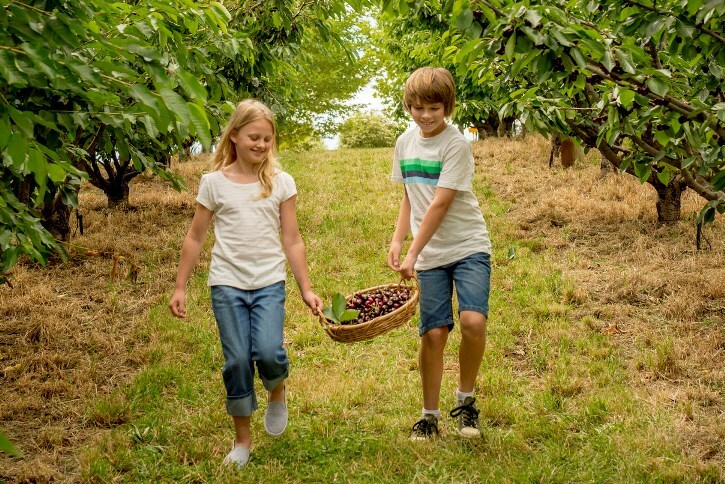 From picking fruit and watching bees make honey, to exploring a chocolate factory and tasting cheeses - the region offers some engaging food experiences for kids so we have developed the Kids' Food Trail to help you plan your epicurean adventure for the whole family. National Motor Museum in Birdwood where kids love to discover vintage and classic cars, motorcycles and trucks. They love to find all the items in the 'junk car' and experience what it's like to go to the drive-in movies. Keep an eye out for their excellent school holiday programs and family-friendly events including the Bay to Birdwood and the Rock & Roll Rendezvous. 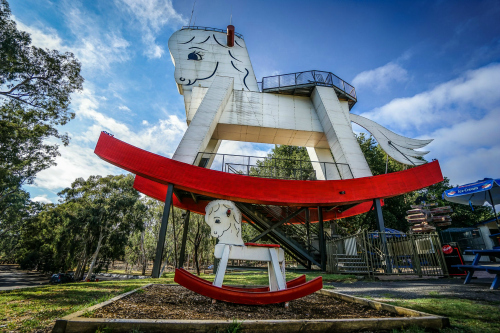 Big Rocking Horse and Toy Factory in Gumeracha where you can climb the giant rocking horse that stands six-storeys high, discover the toy factory and shop, and explore the wildlife bush park with native and farm animals. For mini golf fun head to Hahndorf where Hahndorf Mini Golf has a putt putt golf course featuring 18 holes with fun and challenging obstacles to put your skills to the test! SteamRanger Heritage Railway, running at selected times throughout the year between Mount Barker in the Adelaide Hills and Strathalbyn, Goolwa and Victor Harbor on the Fleurieu Peninsula. Markets like the Adelaide Hills Farmers Market in Mount Barker, the Stirling Market (and Stirling Laneways events) and Mount Pleasant Market are fun and inexpensive family outings. See the Markets page for details. Head Heart and Hands is an imaginative play store in Nairne which is also home to Stargold Puppets. Here you'll find 100% natural fibre toys and craft, Waldorf dolls, pure wool felt and felting supplies, hand-made wooden toys and dolls houses. 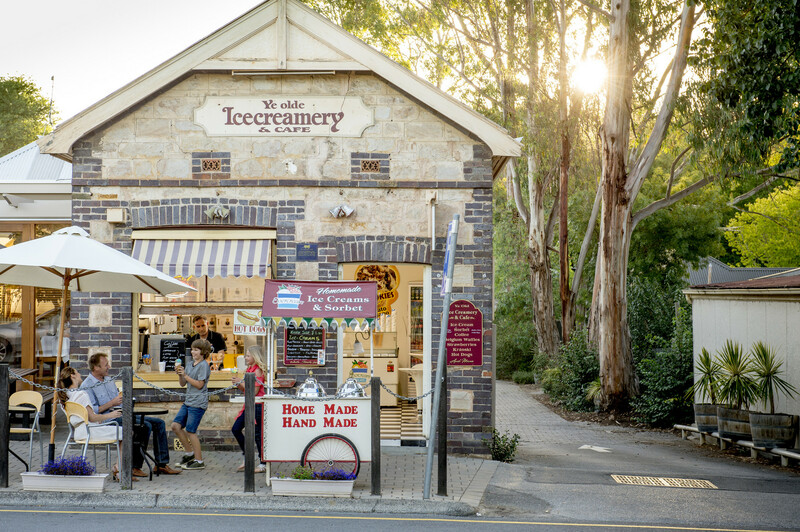 Many of the shops in Hahndorf appeal to kids – from the traditional sweet shops and ice creameries to toy shops, fairy garden and shop, puppet shop, entertaining leathersmith and FruChocs shop (South Australia’s iconic confectionary). There are two candle makers; Hahndorf Candlemaker where you can also buy traditional German wooden folk art (particularly enchanting Christmas and Easter decorations) and 3 Wishes Candle Barn where you can purchase a jar with lid and wick to fill with your own colourful fragrant wax beads to create a candle masterpiece. Hahndorf Mini Golf is set just of the main street and Australian Minerals is heaven for kids into minerals, fossils and shells. The Hahndorf Academy hosts art classes for children, and workshops in the school holidays (see their Facebook page for details). Kids get a real kick out of picking their own fruit – it’s fun and gives them a greater connection with the food they eat. 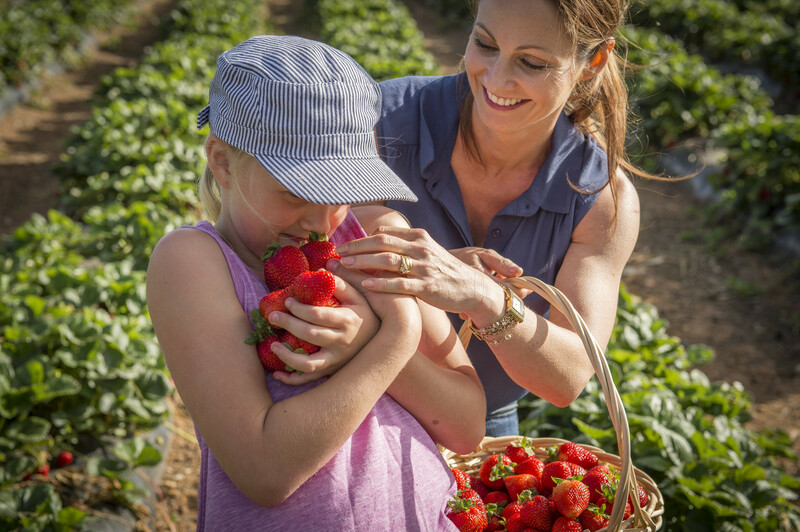 Strawberries are in season from November to April at Beerenberg Farm in Hahndorf. In December and January cherries can be picked at a number of orchards detailed in the Cherries SA Cherry Map. Figs can be picked at Willabrand fig orchard at Glen Ewin Estate in Houghton from February to April. The Apple & Pear Growers Association of SA co-ordinates the Pick a Pink Lady Weekend in Lenswood in late April / early May where visitors meet the grower, discover how fruit is produced, pick some Pink Lady apples right off the tree, learn about and taste different varieties, purchase fresh apples to take home, enjoy home-cooked apple crumble and other local produce. Magarey Orchard at Coromandel Valley is best known for its amazing pears and has designated open days. Adelaide Hills is blessed with numerous excellent playgrounds. Favourites include Steamroller Park in Stirling, Pioneer Gardens in Hahndorf and Keith Stephenson Park in Mount Barker (which includes a skate park). And for those wanting to get out and explore our great outdoors, some of our favourite 'nature play' locations are Crystal Lake Park at Macclesfield, Federation Park in Gumeracha, Belair National Park, Mount Lofty Botanic Garden and Woorabinda Lake and Reserve just out of Stirling (on Wednesday mornings and some Sundays you'll see remote controlled boats out on the lake!). The fairy garden at the Deanery Reserve in Bridgewater makes for a magical wander in the bush (even though it's sadly not as extensive as it once was) and while you can park very close, the walk from the Bridgewater Mill along the Heysen Trail is the perfect short walk for kids. Laratinga Wetlands and Mount Barker Summit in the Mount Barker area are also excellent outdoor activities for kids. 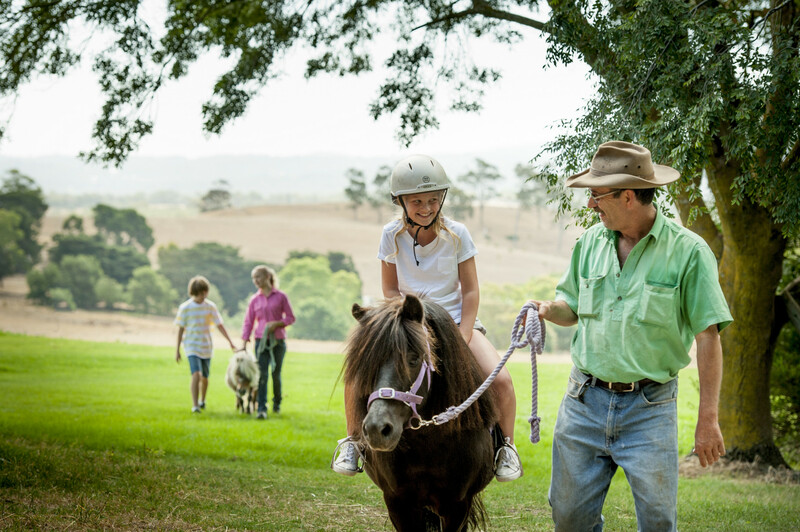 For kids into horses, the region offers a variety of things to do depending on age and experience, from pony rides, pony parties and trail rides through to riding schools of the highest calibre – consider Four Oaks Farm in Littlehampton, Inglewood’s Templewood Horse Riding Centre, Megan Jones’ Riding School at Hahndorf or Academy of Dressage at Mount George. Kids can see what it's like to have their very own horse for a week with the Megan Jones school holiday program. Another option is Chamel Fields at Kuitpo Forest in the region’s south, offering a farmstay experience featuring miniature horses and 'adopt a horse' holidays. Families are welcome at the region’s cellar doors, but some go the extra mile to ensure the kids enjoy the visit as much as their grown-ups. Howard Vineyard and Golding Wines have a reputation for being family friendly, with their expansive grounds perfect for exploring. Barristers Block, Deviation Road, Anderson Hill and Longview Vineyard are also family favourites. Magpie Springs at Hope Forest (near Kuitpo) is home to Southern Boulder where the whole family can have fun on the rock climbing wall and bouldering gym, and try slacklining. Pubs and bakeries throughout the region lend themselves well to family outings and picnics in the beautiful surrounds are always a hit with little ones who won’t sit still for long, especially at Mount Lofty Botanic Garden. For something different, try Patch Kitchen & Garden between Stirling and Aldgate, with an outside play area featuring a cubby, sandpit, chicken coop and veggie garden. The Olive Branch Café in Balhannah also has a small children's play area.